Others charge hundreds for advertising. And you still can't find the quality teachers you need. Try Joyjobs! We have provided schools with superior candidates for over 15 years. Swamped with applications that aren't even remotely qualified? Limit your exposure to a professional circuit! 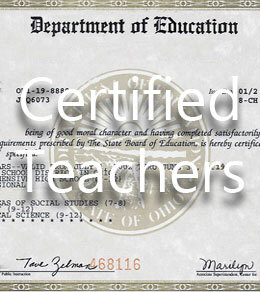 When you advertise on Joyjobs, your information is only available to qualified career teachers. We will not expose your jobs to thousands of untrained wannabes and spam robots. *CONDITIONS: You must provide your official school information for the candidates to apply. This includes your school email as shown on your CONTACT or EMPLOYMENT webpage. If you have to link to a personal email (gmail, yahoo, etc.) your ad does not qualify. Recruiters, companies, webmail submissions (Yahoo, Gmail, etc. ), online schools, startups, private tutors: your fee is US$30. Publish multiple job vacancies in one submission at no extra charge. By default, your ad stays online for a year. Add a deadline to limit applications. To generate more responses, make sure your ad includes the salary and benefits information. Include your school's recruitment webpage. This is a fantastic opportunity for a fully qualified and motivated Drama teacher; with the opportunity to teach Drama at middle school. Interest in drama has grown exponentially at LIST in recent years, with one student this year receiving CIE recognition for having obtained the highest IGCSE grade in Thailand. Since 2008 Secondary age students have performed The Good Woman of Setzuan, Mamma Mia, The Pilgrimage, The Little Shop of Horrors, and Animal Farm. ISSR is an IB world school offering the PYP, MYP and DP to students from 5-19 years of age on one campus in central Stockholm. • Currently ISSR is hiring for an MYP science teacher to work as part of the MYP team. The Akanksha School Project represents our first effort to work with the formal school system in the Municipal Corporations of Greater Mumbai (MCGM) and Pune (PMC). It is an effort by Akanksha to extend its activities in the field of education, leveraging our experiences from nearly twenty years of work with children from low-income communities to improve the quality of learning in schools. Specifically, we hope to provide inputs in the fields of teaching, extra-curricular activities and community engagement that will significantly enhance the learning opportunities for children in these schools, demonstrating what is possible for children from low-income communities to achieve given the right opportunities. School leaders participate in the School Leadership Institute- meeting together every two months to discuss education, leadership and management- and build their skills and knowledge in order to lead excellent schools. The role of the school leader is to ensure that high standards of excellence are maintained by building a motivated, skill team of teachers, developing a strong academic program, engaging the families in their child’s education as well as creating a positive, achievement-oriented school culture. Your ad will be available to our registered candidates. To expand your circulation, ADD the newsletter option TO YOUR POST! 'Like us' for FREE vacancy updates!